On March 19th practitioners attended an in depth and informative CPD day on treating problem shoulders. 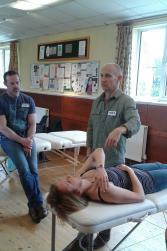 Other CPD days are being arranged to focus on specific body areas. There will be a CPD day on knees on July 23rd with a subsequent day on September 10th for lower back problems.